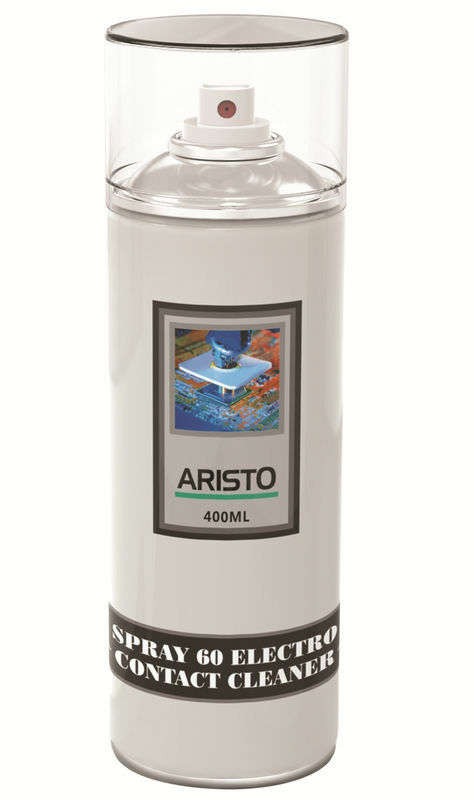 Aristo Contact Cleaner is a non-flammable, chlorinated, non-ozone depleting cleaner/degreaser designed for use on electrical equipment. It is a volatile organic compounds (VOC) exempt alternative to ozone depleting chlorinated solvents, and does not contain methylene chloride. It evaporates quickly and leaves no residue. It is ideal for limiting down-time on delicate electric parts. It lowers electrical resistance at contact points and reduces the potential for current leakage and grounding. Recommended for effective removal of grease, oil, corrosion and sludge from electric motors, fusible disconnects, switchgears, transformers, air tools, mechanical brakes, clutches, chains, wire rope, dies, molds, parts, bearings, generators, compressors and a wide variety of other electrical and industrial equipment.